Levies on import in Israel are divided between different paragraphs according to the type of product, its price and many other parameters. These taxes are sometimes called “Customs charge”, but this is in fact only one of the components of this charge on independent import of goods. The tax authority within the Ministry of Treasury is responsible for charging customs fees and supervising airports and sea ports. Value Added Tax (VAT)-A tax with a fixed rate, determined by the law of value added tax. The VAT is charged on all sorts of goods that are imported to Israel. Purchase tax is a tax with no fixed rate, which changes according to the product which is being imported, and which is defined in the Law of Purchase Tax (goods and services) from 1952. This law stipulates the tax on the purchase of products in certain categories. The excise tax on gas and cigarettes is also defined as purchase tax. With regards to customs in the state of Israel the tax authority within the Ministry of Treasury is responsible for charging customs fees and supervising airports and sea ports. In Israel it’s customary to charge customs fees for many varied products, including sowing threads made of cotton, and alcoholic beverages. The Israeli state is a member to treaties with different countries that nullify or minimize law-binding customs fees for products that are manufactured in countries that are members to the treaty. 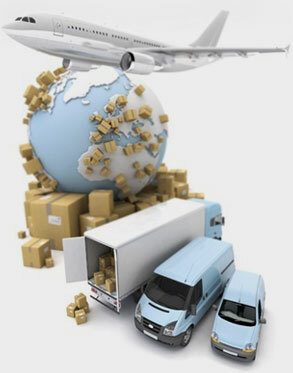 One can receive a reimbursement for paid customs fees for components that were used to manufacture products for export. This reimbursement is called Restitution. There is a ban on importing certain products that are liable to pose a security threat to the country, or a threat to the public’s welfare and safety, the environment and so forth. For a list of the products that are totally banned for import click here. Trade treaties are treaties the purpose of which is to encourage and facilitate free trade between countries. Israel conducts such trade with many countries, where each treaty stipulates the level of taxation and the nature of the products that are liable to tax. All trade treaties necessitate trade with the countries in the treaty and not through a third party/country. For this purpose, and to simplify trade, all the countries that are parties to the European Union are defined as one country. The different trade treaties with different countries are different from one another, but they all include an exemption from customs fees with regards to goods that are traded between the countries that are members of the treaty, and they include a nullification of impediments such as: Import licenses, import limits, import levies et cetera. Every country is entitled to levy an external and independent customs fee towards third countries.